Contemporary power recliner with lift mechanism upholstered in neutral stain-resistant fabric. 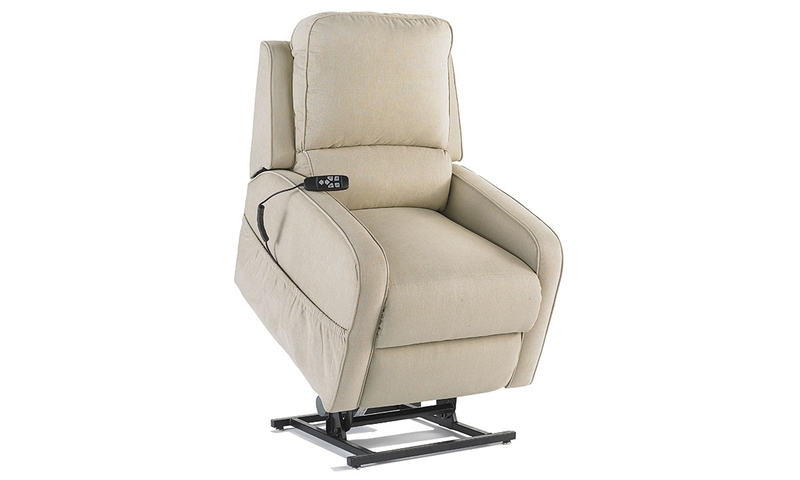 From standing to relaxing, the Peyton power lift recliner helps you ease into comfort. With apower 2 motor and welded steel base, this lift chair with an attached remote control blends strength and durability with its contemporary design upholstered in neutral LiveSmart fabric for enhanced stain resistance. Get first dibs on new items and upcoming promotions! Copyright © 2019 Haynes Furniture. All rights reserved. Sign Up for Specials, Promos and Events! Success! Be prepared to save. We'll be in touch soon.